JD.com has good potential for margin expansion in the long term, Morgan Stanley says, but shares are 'likely to take a breather' in the coming months. Morgan Stanley is taking a pause with JD.com Inc. (JD - Get Report) . Analysts cut their rating for the Beijing-based ecommerce company's stock to "equal weight" from "overweight" in a note Tuesday, Nov. 14, and lowered their price target to $45 from $53. JD shares took the news hard, falling 6.9% to $38.50 mid-afternoon on nearly double the average trading volume. Morgan Stanley's new price target for the stock still implies a 9.8% upside from its opening price Tuesday. Morgan Stanley said JD has "good potential for continued margin expansion in the long term," but analysts said the stock "is likely to take a breather as apparel headwinds temper near-term GMV growth." Investors ought to wait for a better reentry point, analysts noted. 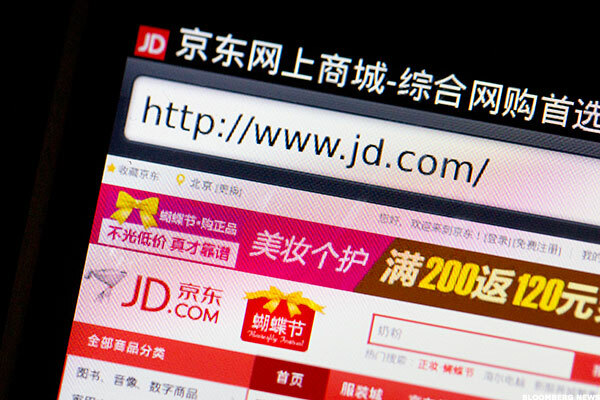 "We believe JD offers a unique value proposition to merchants with end-to-end supply chain expertise," analysts said. The company has shown its prowess in expanding category offerings and margins. But apparel headwinds and intensified competition are set to temper margin expansion. Third quarter gross margin value growth was 32% year-over-year, compared to 46% in the second quarter and 42% in the first quarter. "We lower our 2017-19 GMV estimates 2-5%. We think the stock is likely to take a breather, especially after its strong rally of 63% YTD," analysts said. With that, though, analysts said they "remain positive on JD's long-term growth potential and believe the company will see steady margin improvement over the years to come." They are waiting for "better timing with clear catalysts to revisit the stock."